We get a lot of questions about banking umbilical cord blood (UCB). Below, we answer some frequently asked questions on the different options that are available. If you’d like more information on UCB, why it’s collected, and stem cells, you can read our blog post from September 2016. Q. What are the options for saving a baby’s UCB at birth? Healthy parents and babies are able to donate UCB to a public bank where it may be used by someone else battling a disease or for future research. 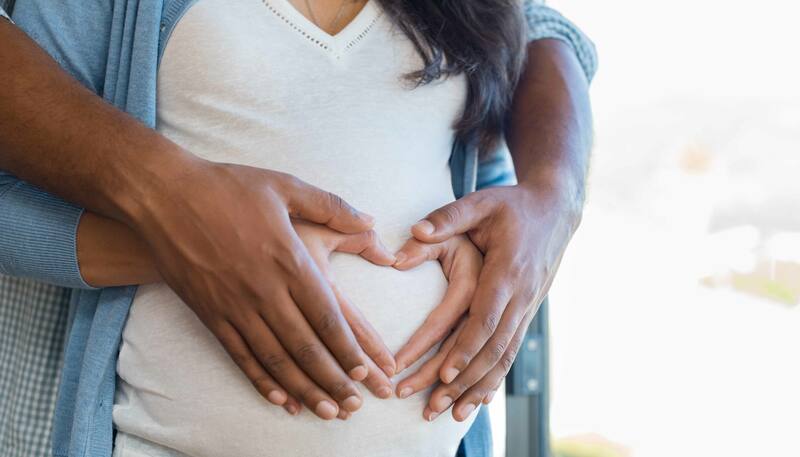 For more information on public banks, visit Be The Match® which was selected by the US government to operate the nation’s Cord Blood Coordinating Center under the 2005 Stem Cell Act. Donating UCB from a healthy baby may provide a treatment for an individual with certain diseases, like some forms of blood cancer. Because the problem that caused the disease in the first place is still in the person’s blood, they must get a transplant from someone else (a donor). There is no charge to donate UCB to a public bank. Because the mother, father, and baby must all be healthy and meet certain eligibility criteria, not everyone is able to donate. Also, because of strict collection and processing standards, hospitals in many states are not yet able to collect UCB for donation to public banks. There are numerous private cord blood banks that charge fees to collect and store UCB. Because some research has shown that certain diseases, like some blood cancers, can be treated with an individual’s own stem cells from UCB, parents can choose to store UCB in a private bank in case the child develops a disease in the future. While there is little data on the outcome of transplants using privately banked cord blood, there have been a few successful cases reported. Parents may be interested in purchasing “biological insurance” in the event that their child develops a condition that is treatable with his/her own stem cells. Not all diseases are able to be treated with an individual’s own cord blood cells, and many patients need a transplant from a donor. Collection and storage with private banks typically cost an average of $1,800 for the first year, with annual storage fees of around $150. In addition, data on the quality of cord blood stored in some private banks and whether it will remains viable in the long-term are still unclear. These banks collect UCB for a specific purpose. For example, the Todd and Karen Wanek Family Program for HLHS collects, processes, and stores stem cells from the UCB of babies diagnosed with HLHS before birth. The Program currently has a clinical trial open at six hospitals in the HLHS Consortium using these stem cells to help strengthen the heart during a baby’s surgery. This is different than treating a disease that may develop later because a baby must be diagnosed with the condition before birth. The goal of the HLHS Program’s directed bank is to learn whether stem cells from UCB can be used to help regenerate or strengthen the heart which was affected by a medical condition before birth. In this case, stem cells from a donor can’t be used because they may be rejected by a baby’s body. If a baby has been diagnosed with a specific disease before birth, banking cord blood with a directed bank may allow them to participate in clinical trials using their own stem cells in the future. There is no cost to bank UCB with the Mayo Clinic HLHS Program. Directed banks are only open to babies diagnosed before birth with certain medical conditions. Research using UCB for regenerative purposes is new and there are few directed banks available. Because all research at directed banks like the Todd and Karen Wanek Family Program for HLHS is conducted according to FDA regulations and there are restrictions for eligibility, not everyone is able to have a baby’s UCB collected and stored. Q. I’ve heard of “Directed Donor” donations where UCB from a healthy baby is collected to treat a sibling or relative with a certain disease. If my child has HLHS, can a relative’s UCB be donated to him/her? A. Our current clinical trial uses autologous (a baby’s own) stem cells. At this time, we do not know if stem cells from a relative would help a baby with HLHS. Cells from a relative are not always a match for an individual, and may be rejected by the body. Q. How many individuals actually use UCB stored for them in a private bank compared to a directed bank? A. According to the American Society for Blood and Marrow Transplantation, “The probability of using one’s own cord blood is very small … probably as low as 0.04% to 0.0005%”(1). Dr. Susana Cantero Peral with Mayo Clinic’s HLHS Program says that more recent data has confirmed that collection vs. usage rates at private banks still remain consistently low. “Many people never develop a disease that requires a stem cell transplant, and unfortunately many who do require cells from a donor and can’t use their own,” she says. In addition, private banks are not subject to the same quality control rules as public and directed banks, so the samples are not always viable after long-term storage in some private banks. Samples stored in public banks are 30 times more likely to be used than those stored in private banks. Q. If I store my baby’s UCB in a private bank, can I take it out and use it in a clinical trial like the HLHS Program offers? A. Unfortunately, the way private banks process and store the UCB destroys it for potential use in a clinical trial in the HLHS Program. Our research is conducted under strict FDA regulations, so the UCB must be processed and stored according to the guidelines for our specific trial. Q. Can I store UCB in more than one place? A. The blood volume remaining in the cord and placenta after baby’s delivery is usually low, and only about 8 teaspoons of blood can be collected from the umbilical cord. Because the number of cells is strongly correlated with the volume collected, it is not recommended to split UCB in order to have more chances of being used. Q. What happens to my baby’s UCB if I store it with the HLHS Program? 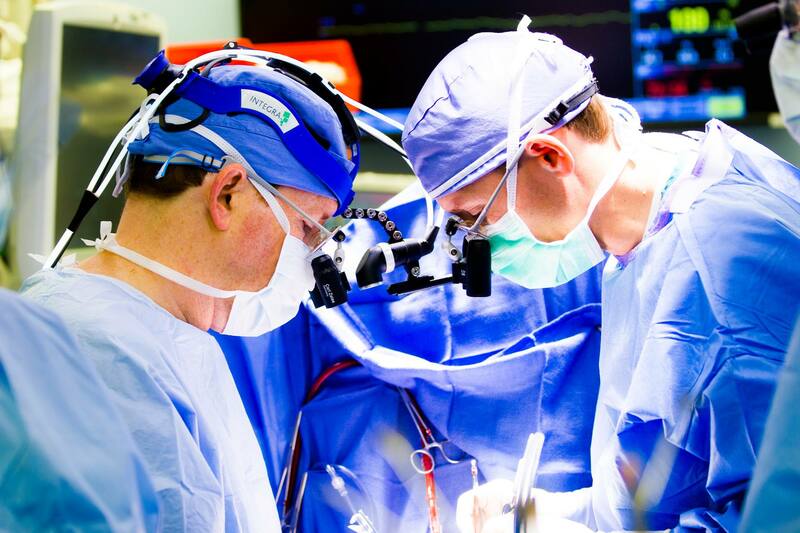 The sample may be eligible for use in our Phase II clinical trial in which a baby’s own stem cells are injected back into the heart during the 2nd Stage Glenn surgery. The sample will be stored at -196°C and may be eligible for use in future clinical trials. You may choose to donate the sample to the Program for future research. You or your child may request to have the sample discarded. Q. Who should I talk to when deciding whether to bank my baby’s UCB? A. You can discuss your options with your OB/GYN, pediatrician, or family provider. Both the American College of Obstetricians and Gynecologists (ACOG)(2) and the American Academy of Pediatrics (AAP)(3) have published position statements discouraging the use of private banks for healthy families. They also note you should ask if your healthcare provider has a financial or other conflict of interest with any private, for-profit bank when discussing your options. Pictured: Dr. Harold Burkhart and team perform surgery on a pediatric patient with HLHS at The Children’s Hospital at OU Medicine. 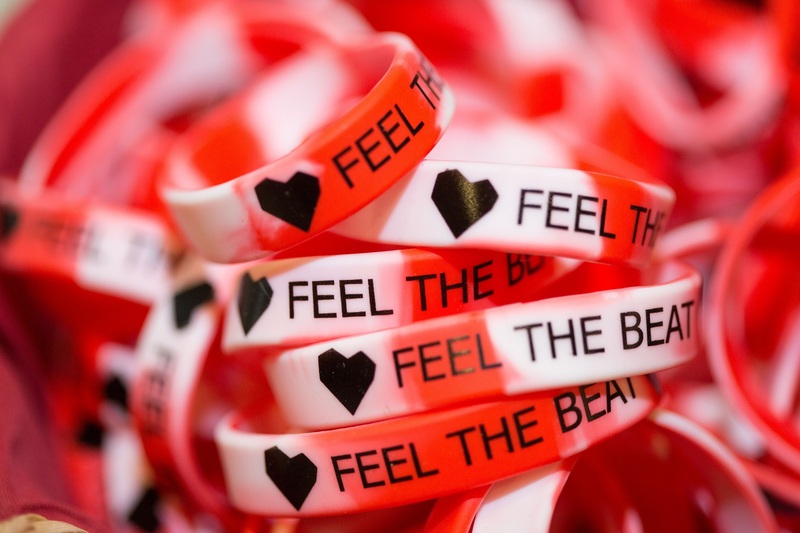 Mark your calendars for the Feel the Beat 2019! 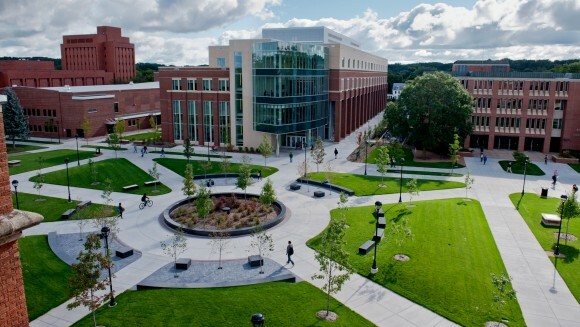 The seventh annual event will be held this year on Saturday, October 12th in Rochester, Minnesota. 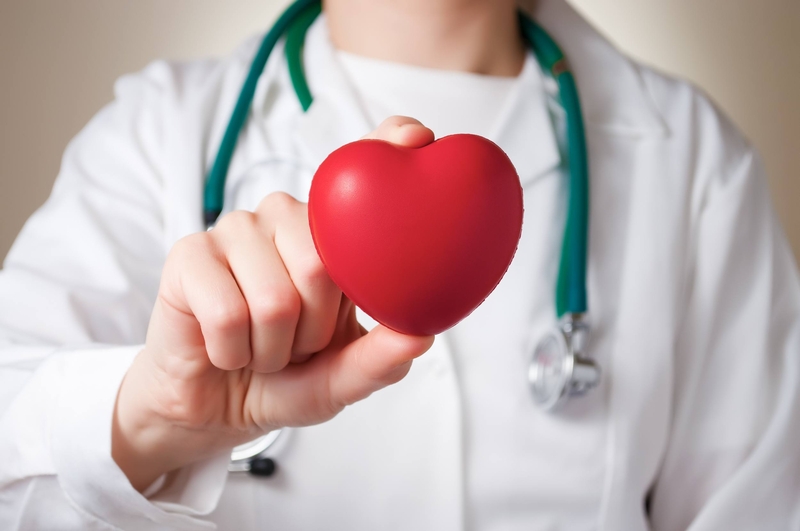 This exciting event is a great way to meet other families in the congenital heart defect world and will allow you to connect with doctors and researchers working on the latest advancements in hypoplastic left heart syndrome. This one-day family-friendly event highlights the experiences of patients and families along with ongoing research, and shows how the CHD community is stronger by all of us working together. Details on guest speakers, panels, activities, and lodging options will be posted closer to the event date, but feel free to send an email to HLHS@mayo.edu if you have any questions!